'm deeply troubled by the reports of sexual harassment and inappropriate behavior that have rocked Capitol Hill and elsewhere. 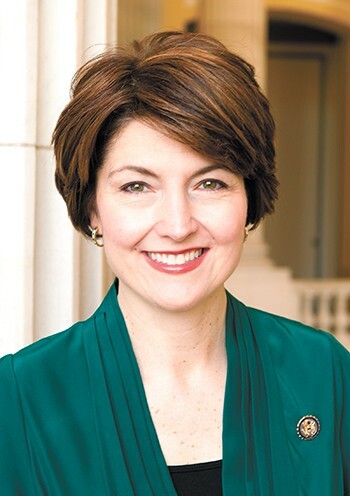 Cathy McMorris Rodgers, the highest-ranking Republican woman in Congress, has represented Washington's 5th congressional district since 2005. As I'm reading story after story of new and worse allegations, I think of my daughters and wonder what kind of culture they're inheriting. We must make sure our workplaces are safe and secure. This type of behavior is beneath us and not who we are. It's disgusting. We can and we will do better. Fundamentally, we must respect each other, and under my leadership, we will demand it. I'm seeking solutions as to how we handle these situations, improve resources for survivors, and create safe workplaces and communities through education. When you hear the stories from victims it breaks your heart, and if there's anything the last three months have taught us it's that sexual harassment and assault is a more pervasive problem than anyone wanted to believe. In the House of Representatives, we've seen these situations where members abuse their power — stories of sexual harassment and assault. Even worse, you hear stories of taxpayer dollars spent to cover up and protect those who have engaged in harassment. It's clear to me that Congress has outdated policies and processes for dealing with sexual harassment cases. The Congressional Accountability Act of 1995, the law responsible for governing conduct in the congressional workplace, should be reevaluated and updated to reflect these concerns. I believe it's my job to put a stop to these issues — to lead in Congress on behalf of women and survivors of harassment. Two weeks ago, I co-sponsored and supported a resolution in the House to require all staff, officers and representatives to undergo yearly anti-harassment training. This unanimous resolution does more than just raise awareness — this is about making clear that harassment in any form is unacceptable. Preventing sexual harassment in the workplace starts with educating people on appropriate workplace behavior and providing resources and support for victims who need help. Currently, the Office of Compliance is not required to publicly disclose how funds from their Awards and Settlement Fund are spent. Like any workplace, there will be employee disputes in Congress that result in financial compensation, but taxpayers deserve to know how their money is spent to settle workplace issues. The Office of Compliance should be required to release quarterly reports detailing how many settlements occurred, the types of settlements, and how much money was spent. I believe members of Congress and all elected officials must be held to a higher standard and should be held personally, financially liable if it's determined that they engaged in sexual harassment or assault. No longer should your taxpayer dollars go to cover up inappropriate behavior by members. Unless we are transparent with these cases and those who are responsible, while protecting the anonymity of the victims, we enable an environment in which harassment and assault can continue to take place. No longer can the institution of the House of Representatives protect those who have broken the basic trust that is fundamental to their jobs and used their positions of power to act inappropriately at the expense of others. I am demanding accountability. These are the steps I want the House to take. 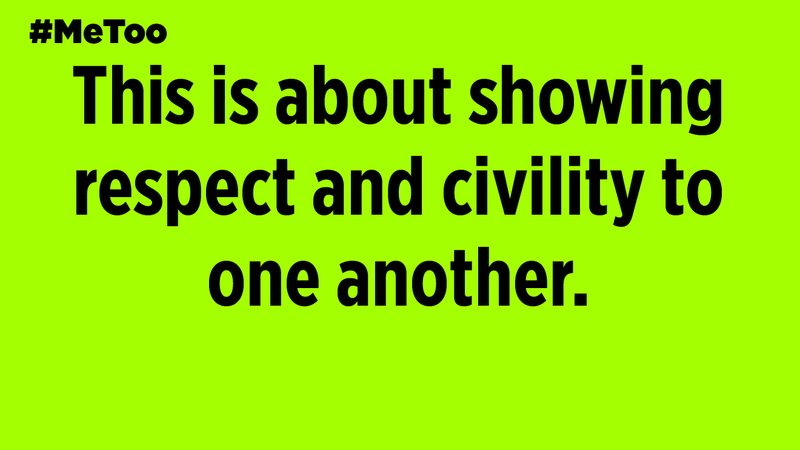 At the end of the day, this is about showing respect and civility to one another. Each one of us needs to be doing our part to lead by example and rebuild the moral fabric of our society. This is about the Golden Rule and restoring trust in one another.